Errol: I just realized I am busy Monday, Tuesday and Wednesday night. So that means I need to finish off some drawings before I leave on Thursday for Portland! And I was so keen on doing more of my novel! 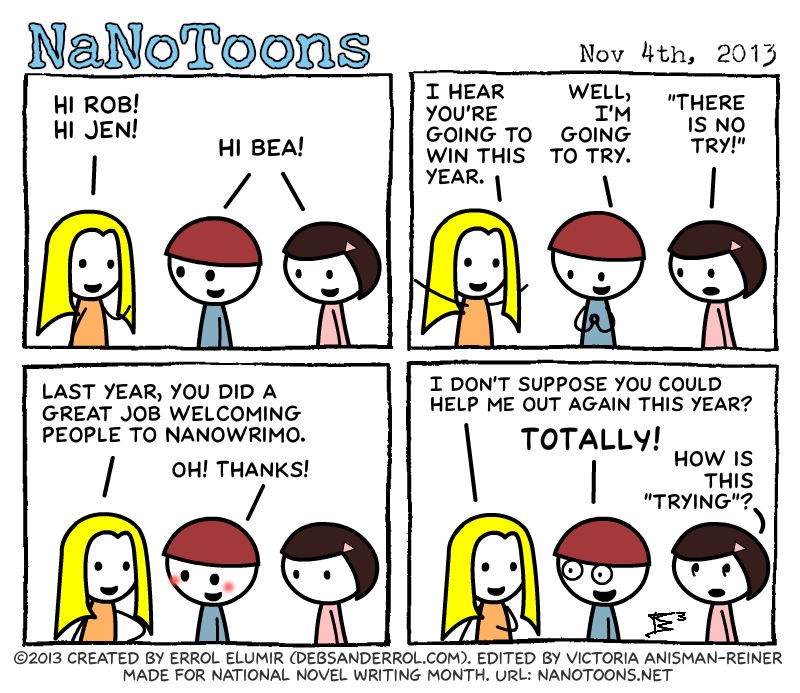 *laugh* MUST NANO! But must do NaNoToons!